On Friday evening we attended the Wildlands Earth Night at Sibaya Casino. A beautiful evening, sponsored by Old Mutual, to celebrate the projects by Wildlands and sustainable conservation in South Africa. Local and limited edition art went up for auction with some pieces going for over R20 000. Mark Ridl and Nicola Gerrard of Rhino Army were very proud to hand over a cheque of R168 000 towards rhino anti poaching conservation. This would not be possible without your support over the last year. 'Rhino populations are critical and it is fantastic to be able to partner up with Wildlands to support anti poaching efforts,' said Mark Ridl. We spent our ‪#‎WorldRhinoDay‬ with the students at Crawford College - La Lucia. 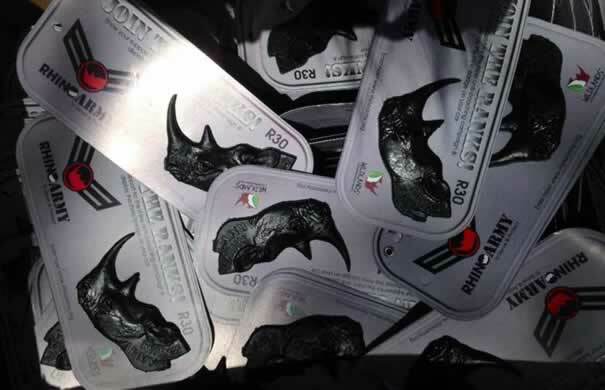 The Rhino Army is on the move and has made major advances on a variety of fronts while raising funds for the on-going war against poachers. 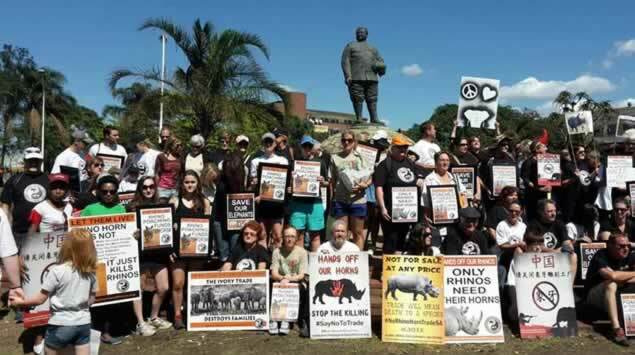 There is a growing public awareness of the Rhino Army and its involvement in the stand against poaching. 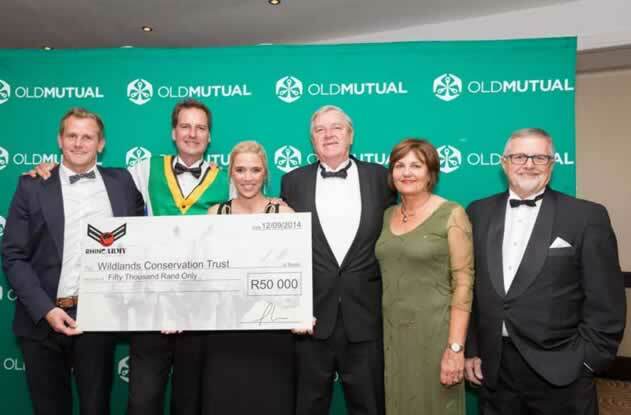 Over R130 000 has been raised in support of Wildlands Conservation Trust and our new partner, The Bateleurs. Part of Rhino Army’s strategy is to educate future generations and heighten their awareness of the plight of the rhino, ensuring that this threatened animal does not become an image in a history book. 2014 has been an exciting year for Rhino Army with the addition of a new partner to receive funding for anti poaching work. The Bateleurs is a South African non-profit organisation of pilots who give their aviation skills, time and privately-owned aircraft to ‘Fly for the Environment’ in support of conservation in Africa. The Bateleurs serve conservation and the environment by flying missions free of charge, at the request of policy makers, scientists, community leaders, conservationists and environmentalists. 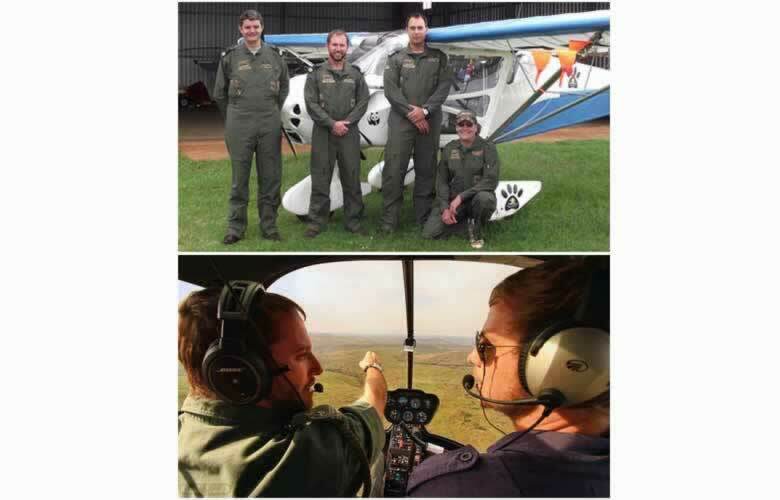 Rhino Army recognised the passion and dedication of these volunteers to assist in anti poaching missions and is contributing to funding for aerial surveillance of KwaZulu-Natal game reserves. Rhino Army had the pleasure of visiting the headquarters of ZAP-Wing in September to meet the team including co-ordinator Lawrence Munro and pilot Etienne Gerber. ZAP-Wing is the first integrated aerial anti-poaching programme in South Africa and was established to combat wildlife crime from the air. They work in partnership with Ezemvelo KZN Wildlife and Project Rhino KZN. A total of 24 game reserves (500,000ha) in northern KwaZulu-Natal currently benefit from daily aerial surveillance and reaction support with over 3 000 rhino under the ZAP-Wing watch. Through Wildlands Conservation Trust and Project Rhino KZN, we are providing support to these anti-poaching operations in our province. A total of 28 rhino carcasses were discovered from these patrols and reactions. 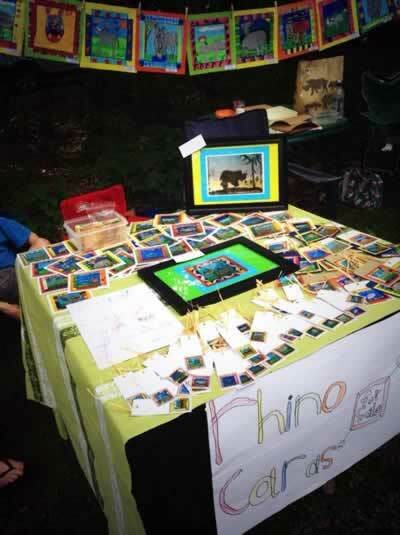 The Rhino Army team attended the Wildlands Conservation Trust Earth Night in Durban in September. It was a gala dinner to celebrate their conservation efforts in South Africa and to boost fund-raising. Rhino Army handed over R50 000 to Wildlands for rhino conservation in KwaZulu Natal. A big thank you again to those who made that possible by joining our army this year. 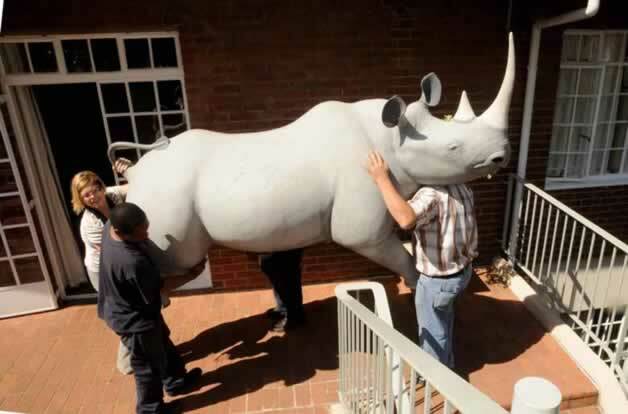 Rambo, our 'threequarter-size' black rhino, was transported to The Wykeham Collegiate in Pietermaritzburg in August and he was given an enthusiastic welcome by the girls, but not by the staff who were pressganged into carrying him up two flights of stairs. TWC has worked closely with us on rhino awareness and fund raising projects. A big thank to our our new rookie soldier Sharon Bishop for enlisting the support of the school. TWC celebrated World Rhino Day on September 22. In return for a contribution to the anti-poaching fund, the girls and staff were able to leave their handprint on the organisation's prize model, Rambo. It proved a highly successful day with the school raising over R6 000. Rhino Army is delighted to announce a new ambassador to our ranks. A huge welcome to KZN Trail Running who will be supporting us through their sporting events at various venues around South Africa. Athletes will be given the option to purchase one of our rhino badges through each race entry form. KZN Trail Running director Andrew Booth has already put in an order for 500 badges. Their support is much appreciated and we look forward to working together in raising funds and awareness for our threatened rhino. 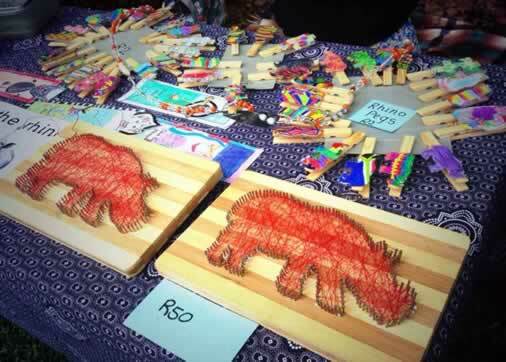 There was a hugely encouraging response for the first Art for Rhino Festival held at the Botanical Gardens in Pietermaritzburg late last month. The festival, the first of its kind and Initiated by four passionate children aged between seven and 11 years old, drew a most encouraging response from young and old with some 400 people attending. 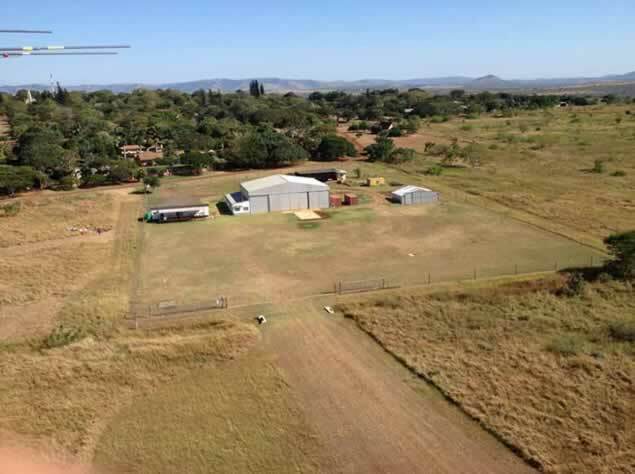 Just under R25 000 was raised for Rhino Army and will be used to help in the anti- poaching aerial surveillance in KZN. The schools that participated were Athlone, Clivia and Laddsworth and it is hoped to have a re-run of the event, possibly in March 2016 to dodge the rainy and examination season, with many more schools participating. The fund raising efforts were given a substantial boost by the auctioning of a magnificent painting of a black rhino by Jason Jaffray which was auctioned for R6 500. But there was also a heavy demand for the many children’s varied artworks, paintings, Christmas cards and eco-works with a heavy emphasis on a rhino theme. A number of young artists provided a variety of live music and poetry reading while the food stalls were also popular. In the final analysis it was a highly successful venture, not only from the fund-raising aspect but also in raising awareness among young and old of the plight facing our rhino. ZAP-Wing is already proving its worth – game reserves are seeing the disruptive impact that constant aerial surveillance is having on poachers’ movements, and joint operations with conservation and law enforcement agencies are catching poachers red-handed.